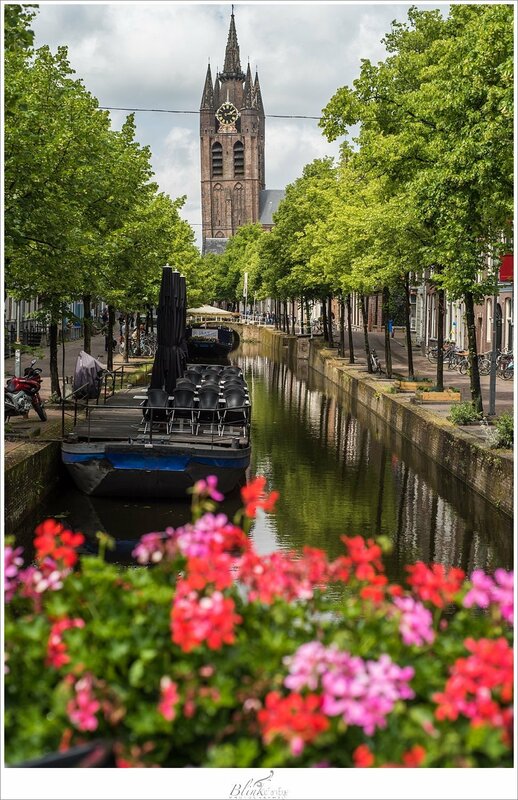 As the plane made it’s descent to Schipol Airport, I could scarcely believe we were returning home to Delft, The Netherlands after a decade of being away. Anton has been back a couple of times to visit his mom and his family and Victoria took an extended trip last year. But, now…now we were finally ALL returning! For Mercy Anne, it was super exciting, as she was only two when we moved. She had no true memory of our time there, except what she could see in family photos and home videos. As we gazed out the window at the Dutch landscape, Mercy Anne looked at me, eyes wide, and said, “I’m finally home.” Where did that come from? 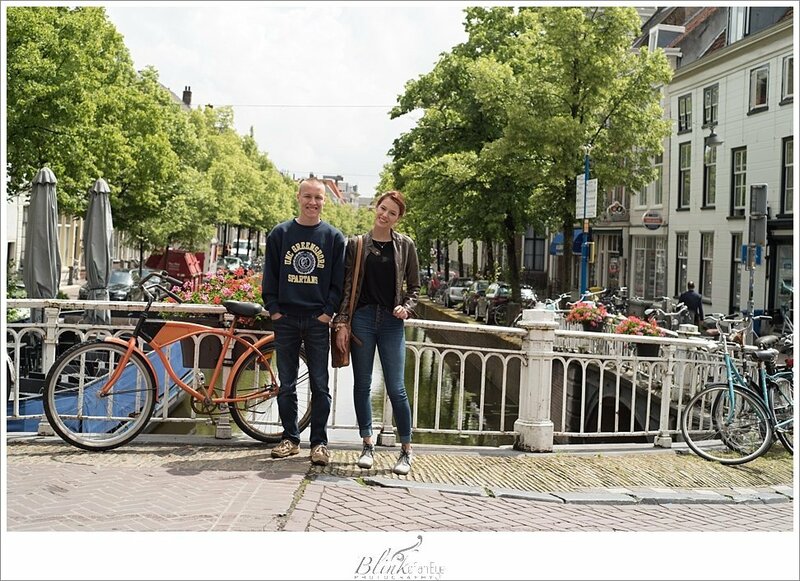 She’s only known America as her home but I guess there’s something inside her, the Dutch blood flowing through her veins, that felt Holland was her home as well. Her statement touched me deeply. Yes, Holland is also home. You see, for us it’s never a win-win situation. 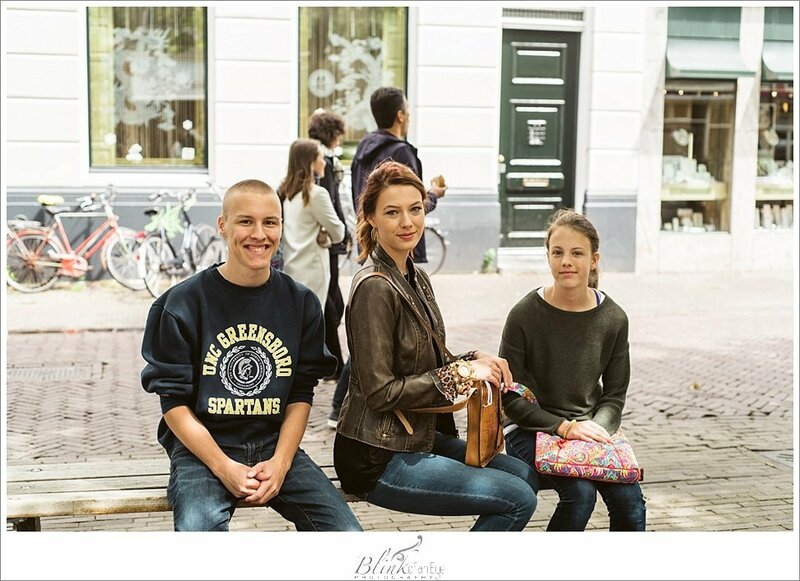 When living in Holland, we missed my family and certain things about America. 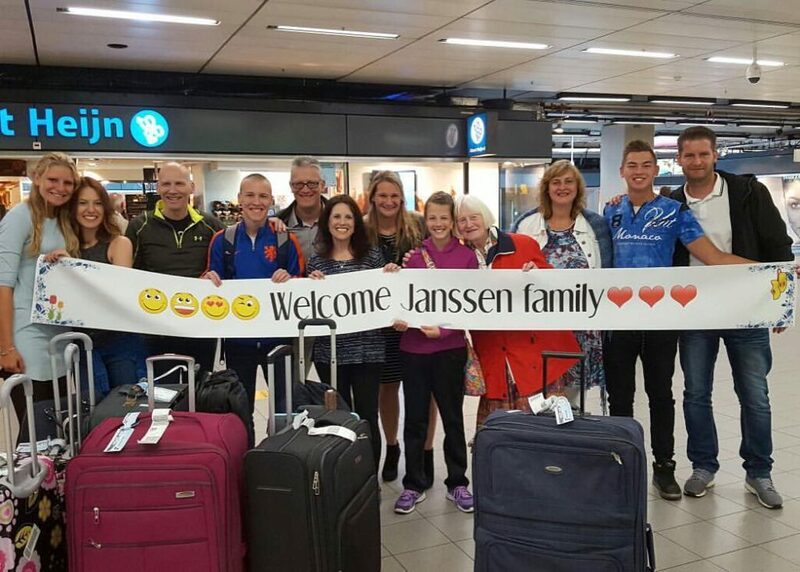 Now, we miss the Janssen family and certain things about Holland. We are always in a state of missing. People tend to forget we had a life there…family, friends, jobs, church, etc. 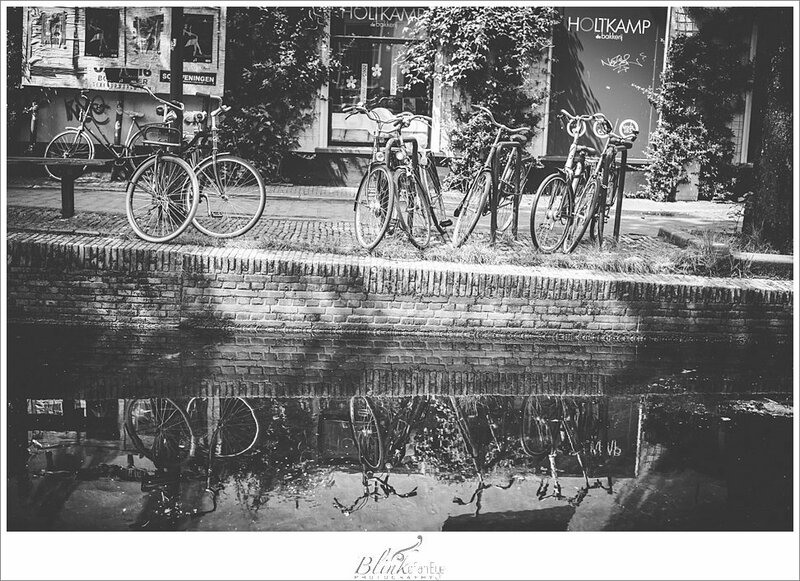 We met in Holland. Our children were born in Holland. I mean, hello, my husband is from Holland. When he went back for his last visit, someone actually asked me why he was going there. I stared at them for a second, sure I misunderstood their question. Um, to visit his family!! God, give me grace. 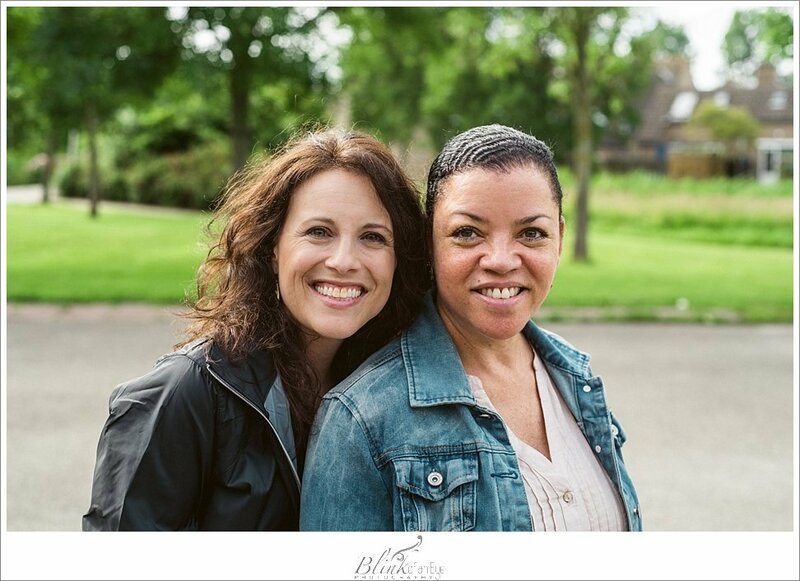 When we moved to the States for Mercy Anne’s education, we had no idea we wouldn’t return as a family for ten years! That was not the plan. But, life moves quickly and things happen to drain finances. It’s not a cheap endeavor to travel as a family overseas. However, God miraculously provided for us this time, as we prayed He would, enabling us to go. We were coming to celebrate Anton’s brother’s 50th birthday and our niece’s wedding day! When we arrived in the luggage area, we could see through glass windows our family waiting for us! We waved excitedly, blew kisses and felt all the feelings! Finally, we walked through the sliding doors to cheers and a big banner welcoming us back! Hugs, the traditional three kisses on the cheek, and tears. Yes, as I hugged and kissed each one, ten years of missing spilled out of my eyes. Family. 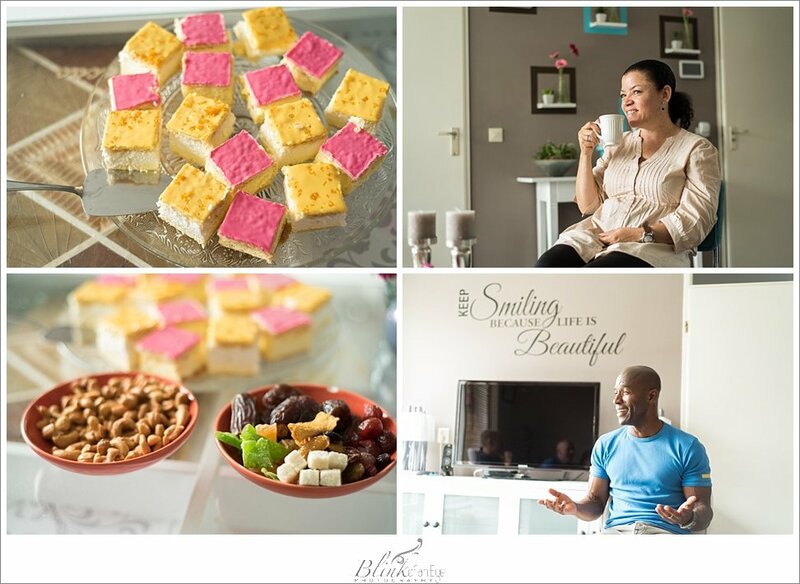 Of course, we all gathered at Anton’s mom’s home for pastries and coffee! She later cooked a delicious Dutch meal, Stamppot Endijve and, truly, no one can make it like she does. The next day, after a deep sleep, we accompanied Ma to the Tuesday market in her neighborhood in typical Dutch weather…rain. The Tuesday market is a much smaller version of the Thursday and Saturday markets held downtown. Oh my. I gazed at the fruits and vegetables and marveled at their freshness and how much cheaper they were than back home. I looked at the fresh cheeses and the amazing flowers. Listen, Victoria bought a bouquet of peonies for about $5 (!!!). Those peonies bloomed the whole 3 weeks we were there!! Oh, America, you just don’t know. 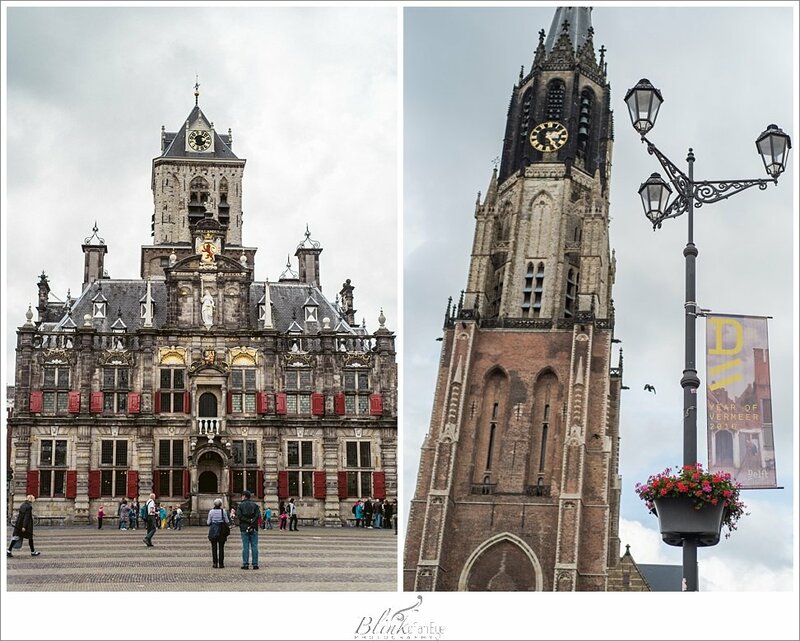 In the afternoon, the rain cleared and we ventured into downtown Delft. As we walked the streets, I was struck by one thing. I was home. Yes, I felt touristy because my camera was hanging from my neck and I was capturing all the tourist sights, but I was playing tourist. I knew those streets. I LIVED those streets. 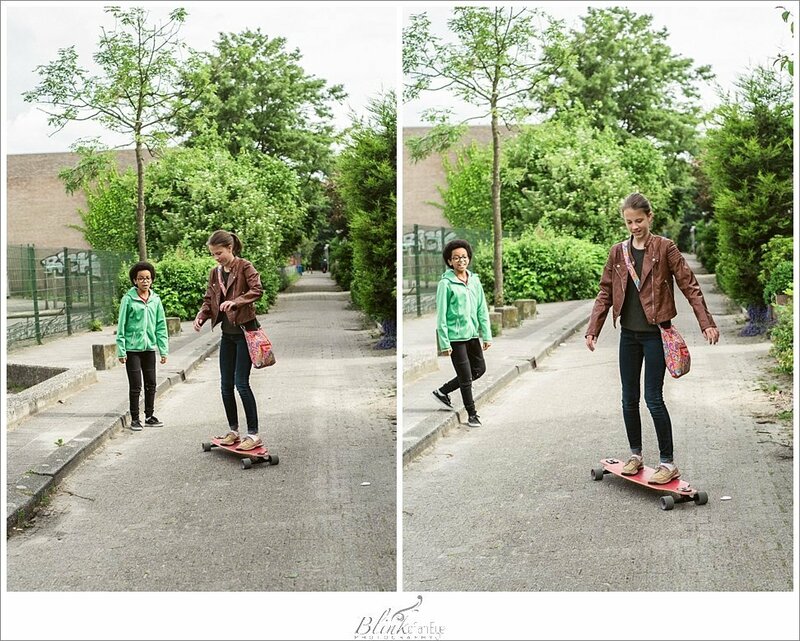 When I thought about returning to Holland, it was so surreal to try to picture myself on Dutch soil once again. Yet, as my feet once again pounded the cobblestone, it just felt completely normal. That “normal” hurt a little bit. Being back renewed how much I missed this place where I truly became a wife and a mom. The place where we lived so much life, the good and the bad. So, I invite you to join me on this journey back. 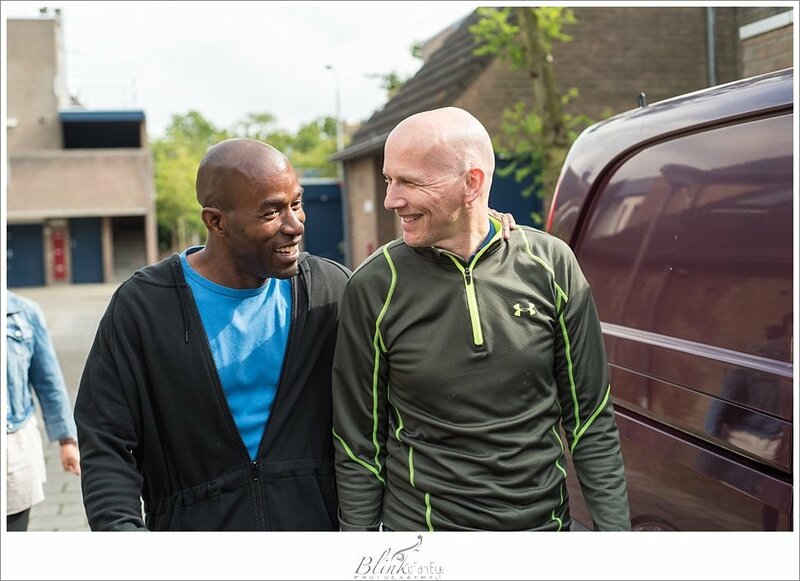 Hopefully, you will enjoy a glimpse of Holland and learn more about who I am in the process. These photos were taken on our first day back. 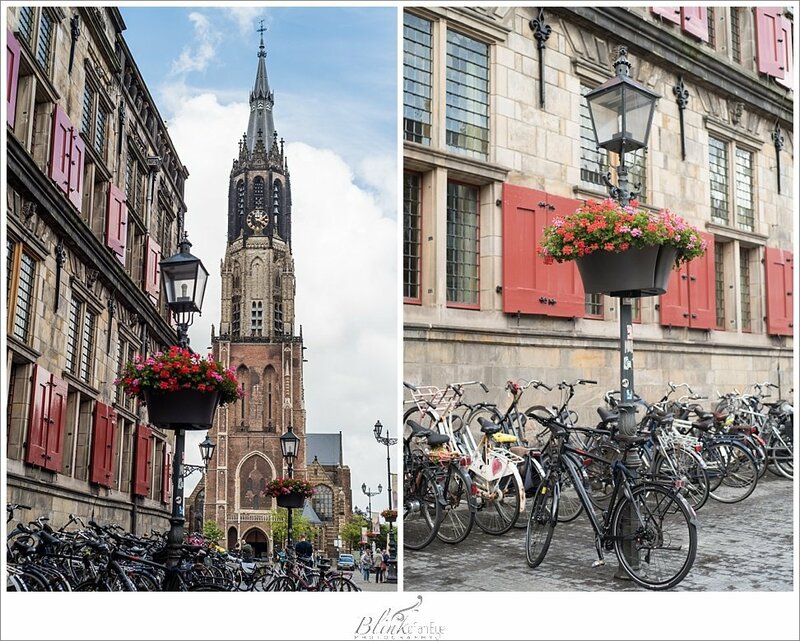 The Old Church (Oude Kerk) in downtown Delft, famous for its sinking foundation which causes it to lean. Note the floating terraces for eating outside at restaurants! 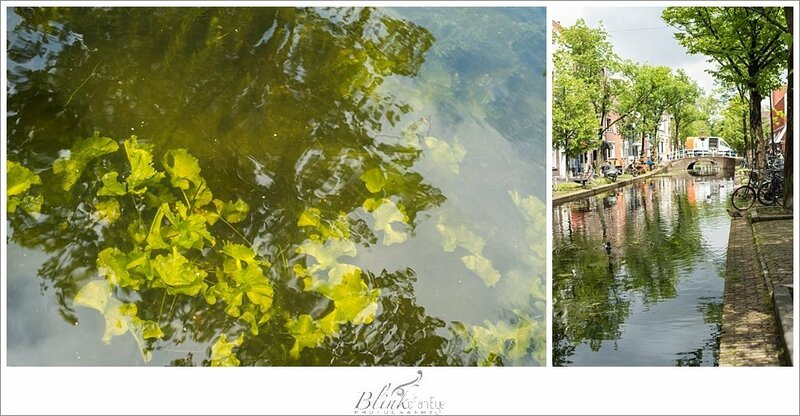 One time, years ago, Anton and I were eating when suddenly the boat shifted, causing my purse to fall in the canal. Thankfully, someone was able to fish it out but that purse was history. It smelled like dead fish! 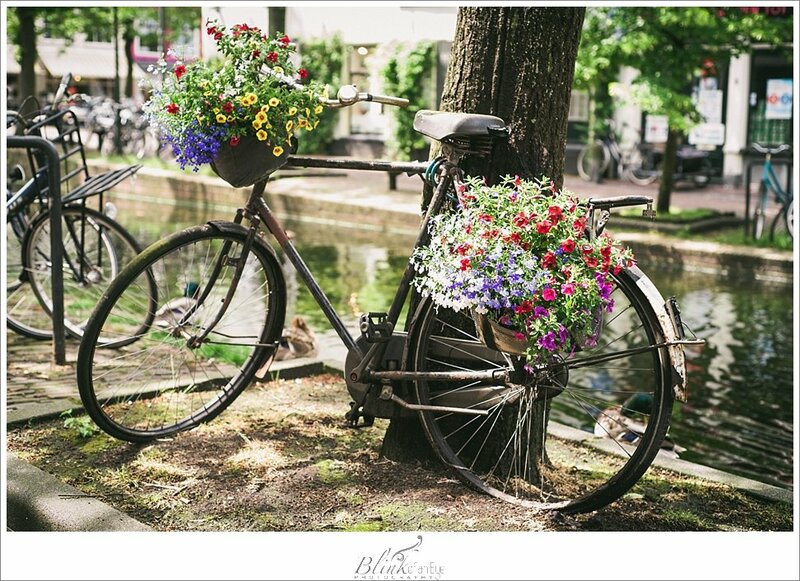 Can’t get more Dutch than this, right? 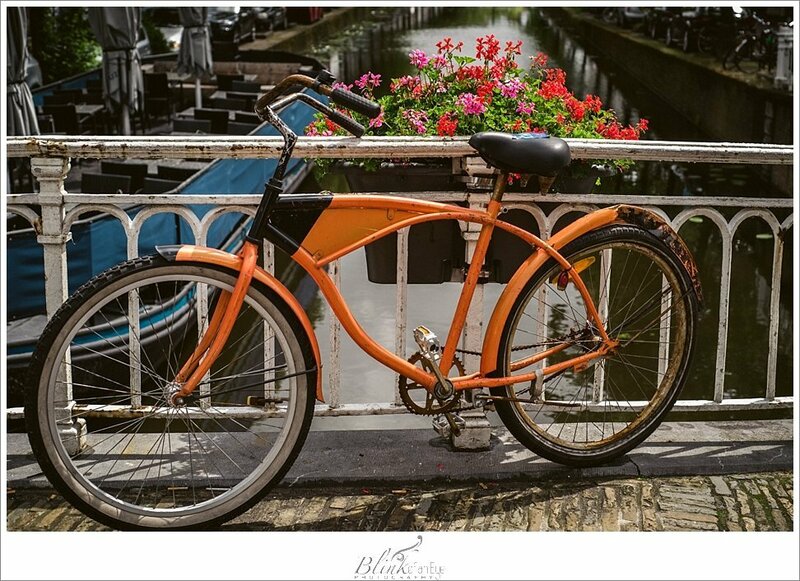 An orange bike above a canal with flowers in the background. A view of the New Church (Nieuw Kerk) and the Town Hall (left) at the market square in Delft. Note all the bikes, the main mode of transportation in Holland. I loved this set up! Such a tourist trap but who cares? It’s beautiful!!! 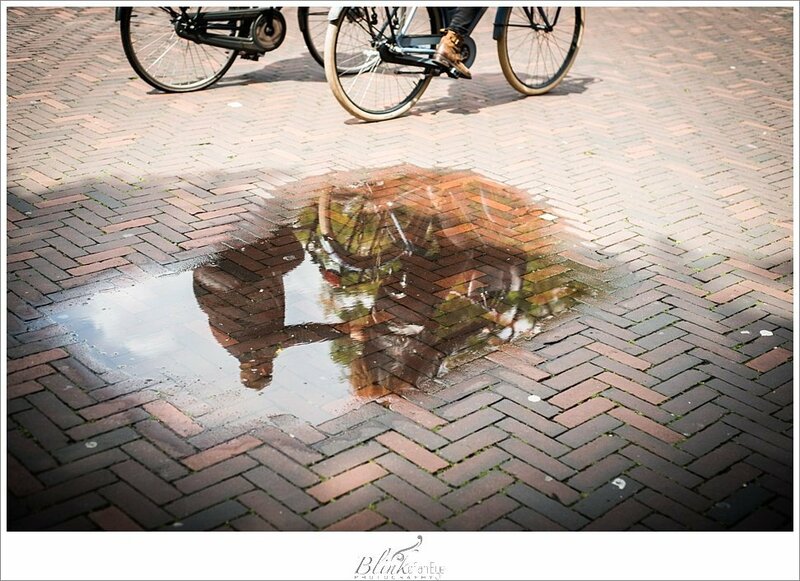 Reflection of cyclers in a rain puddle. 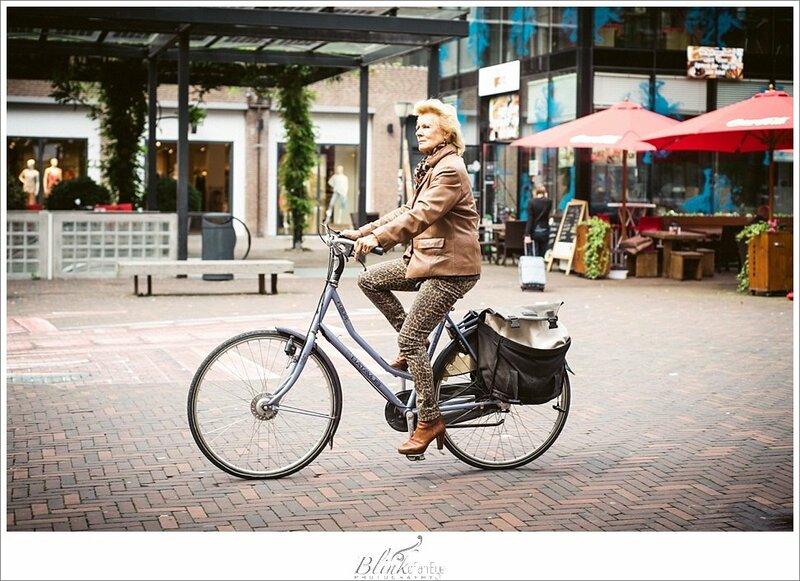 This woman defines the elegant, classy Dutch cyclist with her Mercedes Benz of bikes. Haha! But, seriously, though. Waiting at the bus stop! 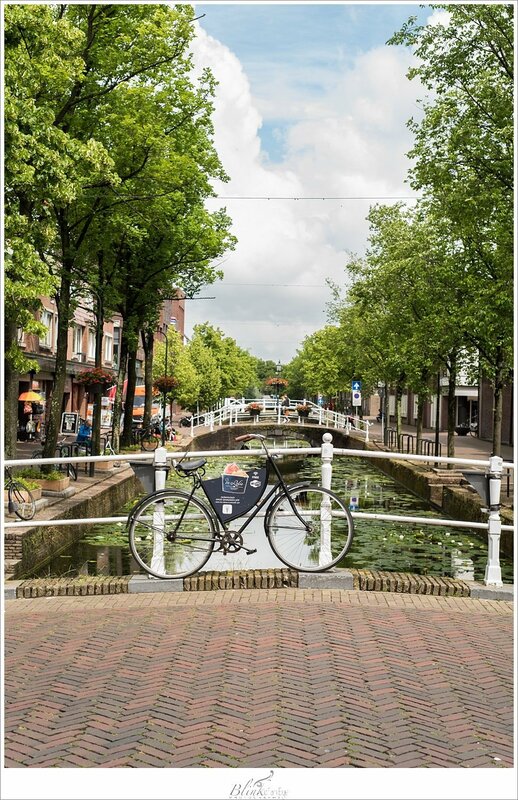 Delft zo te zien, gevangen door de lens, doet je realiseren wat voor mooie stad Delft is. Je kan er zo snel aan voorbij gaan, die schoonheid. Mooi gedaan Marie, de schoonheid “gevangen” door de lens. Delft gevangen door de lens, laat je Delft ook weer even anders zien. Zovaak loop ik in de straten die ik als zo gewoon ervaar, maar ze zo te zien “gevangen” door de lens, laat het de schoonheid ervan weer even tot je doordringen waar je zo snel aan voorbij kan lopen. Mooi gedaan Marie.